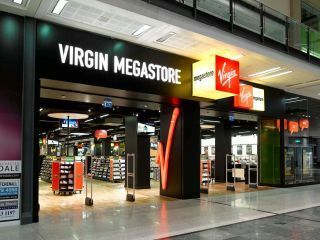 UK's Virgin Megastore group is keen to sell DRM-free digital music to give customers a better service, and believes it won't be long before record labels comply. Speaking to Tech.co.uk, Dan Wilkins, content manager for Virgin Megastore UK, said "The odds of at least two major record labels releasing DRM-free digital music in the next six months is quite high". He went on to say that changes would help improve things for the customer. At the moment, DRM (digital rights management) confuses people: "It's simply not helping the industry. It's hampering it," he explained. "We're basically waiting for the major record labels to release their content without DRM. They have to make the first move." Julian Ulrich, general manager of VirginMega.fr - the French Virgin Megastore's online site and one of the first major retailers to sell DRM-free digital music, agrees. "We feel that DRM slows the growth of the market and that customers who come to us to buy their music don't want the problems associated with DRM," said Ulrich. Yesterday, the French online store announced it had over 200,000 DRM-free tracks available for purchase. "DRM can be a pain in the neck. Why put customers in a difficult position?" Ulrich points out that while VirginMega.fr has opted to sell DRM-free tracks, it's not because of them that it will become popular. "It's a natural conclusion. In France DRM issues are a big deal, we place importance on the consumer's freedom. In the US, and other countries, however, it's still an issue." The lack of DRM gives the user more freedom with the music they've bought, allowing them to play it on any digital music player they choose. The French Government tried to enforce changes in the law regarding DRM for digital music last year. It wanted to force Apple to change its DRM policies on its iTunes store in France. "I'm very curious to see what Apple is going to do," added Ulrich. "You could argue that it would be good for Apple to drop its DRM as it could sell its tunes to people with other players, but we'll see."